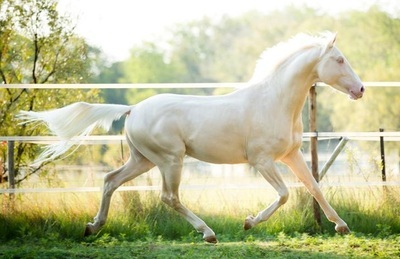 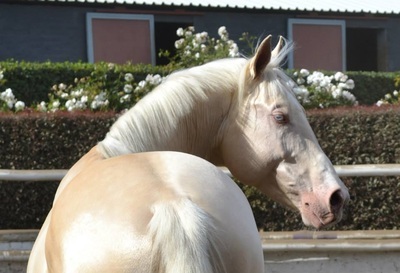 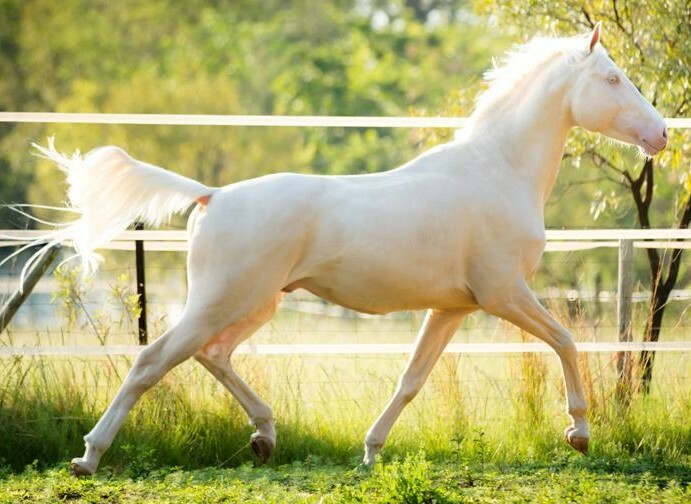 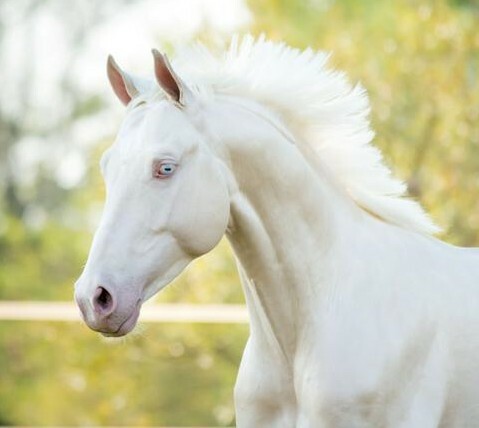 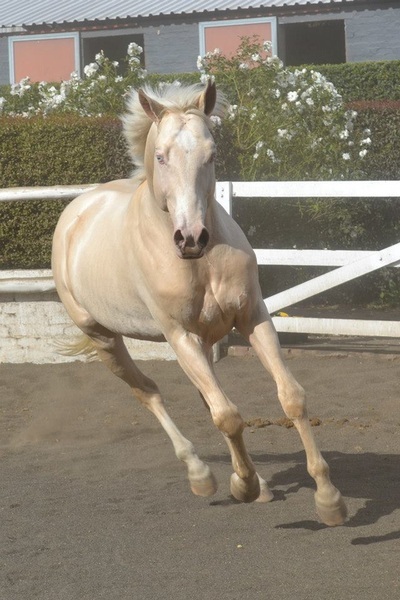 Cremello Sabino German Warmblood, he was born 21 June 2008. He should mature to around 16.2hh. 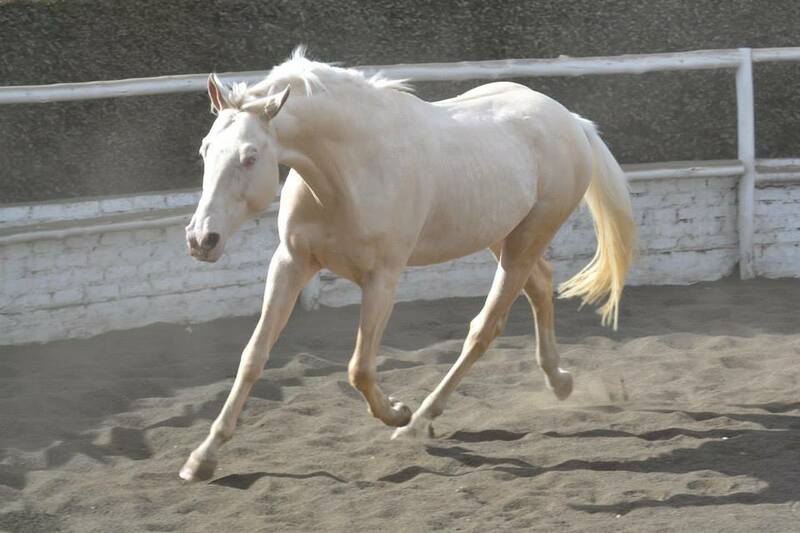 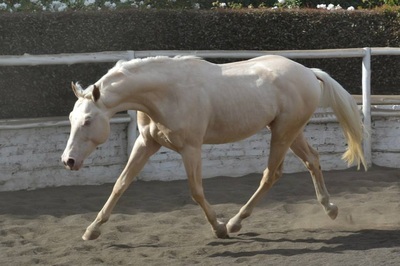 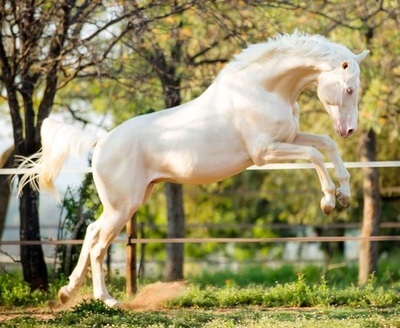 Devine has exceptional movement, and is a beautiful modern type horse with excellent conformation. 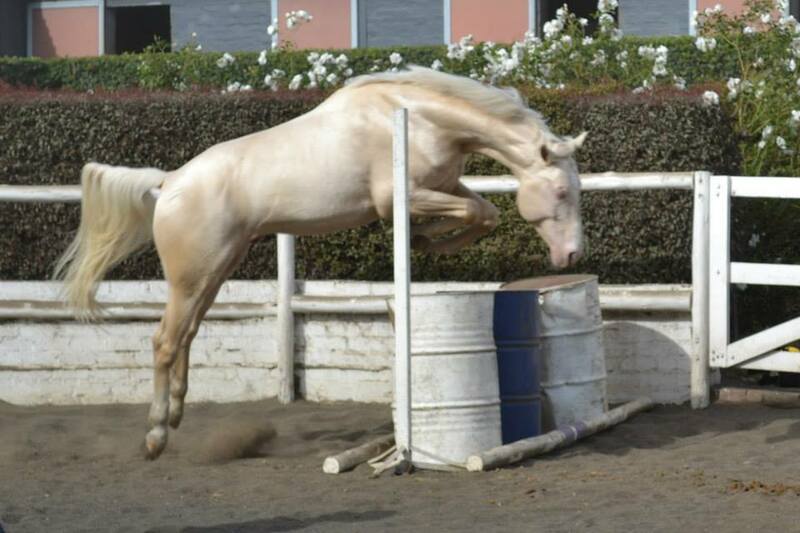 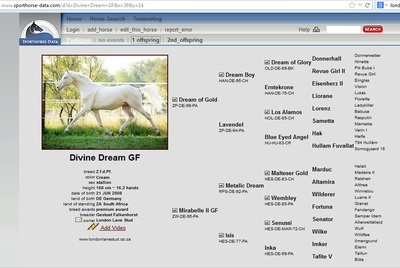 He was Premium awarded as foal and will be suitable for dressage, jumping and breeding.